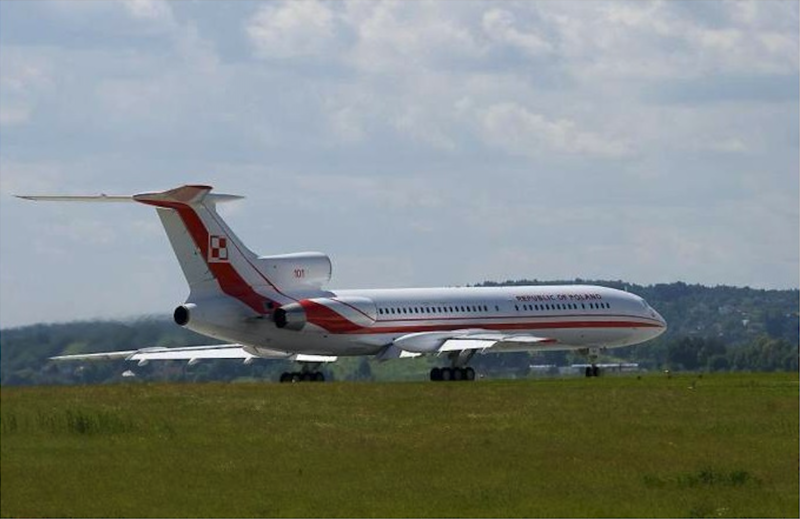 Polot - Ósma rocznica zamachu na Tu-154 M nb 101 z Prezydentem Lechem Kaczyńskim 10.04.2018r. On April 11, 2018 (on Wednesday), on the day after the eighth anniversary of the Smolensk Smash, the subcommittee led by Minister Antoni Macierewicz, presented the Technical Report on the Tupolew Tu-154 M plane crash of April 10, 2010. The Technical Report only in a certain part brings us closer to the truth, because it only answers the question - Why did the passengers and crew deaths? The report was published to present the gathered facts to the public and indicate that there is still a lot of work ahead of the subcommittee, which was not done in the weeks after the disaster, but it should. She did not stay because she was supposed to cover up the real reasons. The most important result of presenting the Technical Report is the cancellation of the current report. The report of the commission of Jerzy Miller dated July 29, 2011 was invalid and canceled. And this isn't about Poland, but about the international scene, where from now on only the Technical Report will apply, and in the future, the Final Report, subcommittee of Minister Antoni Macierewicz. We here in Rzeczpospolita will scratch our eyes for a long time, i.e. until the moment when a Polish-language media will not disappear from the stage and will be only Polish, and the voice of Catholics will count. The Smolensk Subcommittee annuls the classification of the causes of the plane crash of the Tupolev Tu-154 M aircraft in Smolensk, as a controlled flight to the ground caused by pilot error. The plane was destroyed in the air as a result of the explosion. In the introduction to the Technical Report there are seven points that justify the thesis that there was no pilot error. Explosions (because not one) and failure of the electric supply occurred before the plane hit the ground. The biggest explosion occurred in the left part of the hull in the area of the third saloon, where the shock wave ripped the left passenger door, blew up the wing girders, and the bodies of a dozen or so passengers in the third saloon were destroyed and scattered over 100 meters. The body of one of the passengers was pushed backwards into the toilet door, with such force that the door wrapped itself on it. The left passenger door was ten times faster than the actual speed of the aircraft, driven into the ground to a depth of about one meter. The Technical Report doesn’t contain political interpretations, suggestions and allusions. The list of evidence provided in this document isn’t final. The findings of the Jerzy Miller Commission proved to be false in the light of the conducted research, incorrectly indicating the causes of the catastrophe, repeated untruthfully the findings of the MAK commission. The Russian air traffic controllers at Severny airport in Smolensk, in agreement with the commander of air transport troops Gen. W. Benediktov in Moscow, consistently reported incorrect information to the crew of the Tu-154 M aircraft during the landing approach on April 10, 2010. The Tu-154 M approach was preceded by a control incident of the Russian military aircraft Iliuszyn IŁ-76, which was supposed to check the operation of Severna's navigation systems. The Iliuszyn IŁ-76 plane twice approached the landing below the minimum weather and each time it descended to a height of just a few meters above the airport's departure field on its left. Contrary to the statements of Jerzy Miller's report, there was no general Andrzej Błasik in the cockpit of the Tu-154 M during the disaster. He had no influence on the course of the disaster. The commission of Jerzy Miller accused General Andrzej Błasik, didn't having any evidence. First, the left wing exploded and led to the disintegration of the structure of the detachable part of the wing to more than 900 m before the RWY 26 threshold of the Smolensk Severny aerodrome. Detonations destroyed slots, ribs and girders as well as plating and scattered their fragments over an area of over 30 meters in width and over 400 meters along the plane's flight. Then the flap broke off from the wing, parts of which were also scattered over 400 meters. After the plane crossed the TAWS 38 point (710 m before the RWY threshold), there were a number of failures: left engine, generator, flaps, chassis, first hydraulic installation and magnetic heading display system, and failure of both radio altimeters. Repeatedly, the Smolensk Subcommittee, supported by the actions of the Polish Government, made efforts to regain Polish ownership and to be able to investigate the area. However, Muscovites remain deaf to such basic demands. We would like to remind you that in the autumn of 2010 they wanted to send the wreck back to the smelter and destroy it definitively. A valuable source of data was the twin plane Tupolew Tu-154 M Nb 102 currently standing (2018) at the Mińsk Mazowiecki Airport. This aircraft was not used at all by the commission of Jerzy Miller, nor by the commission of General KGB Anodina. Based on this aircraft, experts from the National Institute of Aviation Research in Wichita in the USA have prepared models for research on the course of the disaster. It was these studies that completely overturned the theses put forward in the twin reports of Jerzy Miller and the KGB general Anodina. According to these reports, the plane after losing the wing made a turn on the ridge and hit the ground burying everyone on board. This hypothesis was falsified by a simulation based on finite element method, which was implemented by a member of the commission, Mr. dr inż. Grzegorz Szuladziński. And for healthy reason - if this were the case, all victims should be in and near the wreck, not scattered in a large area and dismembered. The subcommittee of Minister Antoni Macierewicz made extensive use of the Archaeologists' Report, who carried out their research six months after the tragedy. This report provided a lot of valuable information about the "landscape after the storm" monograph. Jerzy Miler didn’t want to use this report. There isn’t doubt about the nature of the explosion. As for its exact shape, the discussion continues. The plane destroyed at least two explosions. The first exploded the left wing of the aircraft so that it cut off one end, and then led to the destruction of the left wing sash. The decay of the plane into tens of thousands of parts, the lack of a crater after hitting the soft ground of a 70-ton plane and the characteristic destruction of the victims' bodies are evidence of an explosion. The explosion exploded the third saloon, killing all its passengers and scattering their remains along the entire length of the wreck. The detonation wave, going in the direction of the tail of the plane, torn this part of the hull and caused the left and right sides to curl together with the roof, outside the structure. All armchairs that had been torn down were completely destroyed. Separate position of seats, backrests and frames. Interestingly, the Russians speak about the outburst. However, their translation boils down to a hydraulic explosion caused by a sudden stopping of the flying object, and the fuel in it hits the walls of the tank and causes an explosion. Only then the explosion should be directed forward, not in all directions. In addition, the amount of fuel was too small for such a great destruction. This catastrophe is the result of a series of conscious actions. The subcommittee doesn’t use the word an assassination because the research is still underway and the final report is a minimum of 10 months. Research in the US is still going on. The exhumation of the remaining victims is still in progress and the prosecutor's office is still doing a lot of work. The word "assassination" has been consistently used by our website for eight years. And this is because of the fact that planes do not break up, especially with the National-Catholic elite. And, like Minister Antoni Macierewicz, we are on a smaller scale, called fraudsters and liars, and that we wrote nonsense. The Republic of Poland is a country of democratic freedoms, we have the right to own opinion. “The true virtue critic isn’t afraid”.